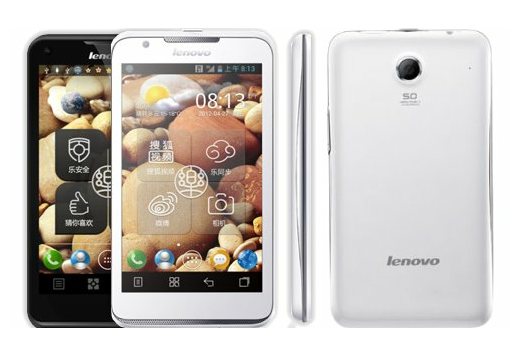 Lenova has officially released the Idea Phone S880 dual-sim android smartphone in India. It has 5-inch capacitive touchscreen with a WVGA resolution and powered by 1GHz Cortex-A9 MTK 6575 Processor with PowerVR SGX531 Graphics for enhanced gaming experience. The device is running on latest android 4 Ice Cream Sandwich Operating System along with dual SIM standby. It has 5 inch capacitive touch screen along with a super powerful battery of 2250 mAH that delivers 17 hours of talk-time and 13 days of standby time. It has 5-megapixel rear facing camera with a resolution of 2592 x 1944 pixels, Autofocus, Geo-tagging, touch focus, face detection and 720p HD video recording @30fps. It also comes with the VGA front facing camera for video chat. The device features Bluetooth 3.0 high speed, Wi-Fi, MicroUSB 2.0 and A-GPS connectivity. It also features FM Radio with Transmitter, 3.5mm audio jack, 512MB of RAM, 4GB Internal memory and 32GB Expandable Storage through MicroSD. The overall built quality of Lenova Idea Phone S880 is very impressive. It comes with the porcelain smooth finish and also has a thickness of less than 10mm. One of the significant feature of this smartphone is it smartly adjusts the volume as per the noise/quite environment which removes your input to change the volume level. Other interesting feature of this smartphone is the speakers are placed smartly in the front side; usually the speakers are placed in the back side of the phone only but it is quite different. The Lenova S880 smartphone is priced in the range of Rs.18,999/. It is available in Black and White colors.